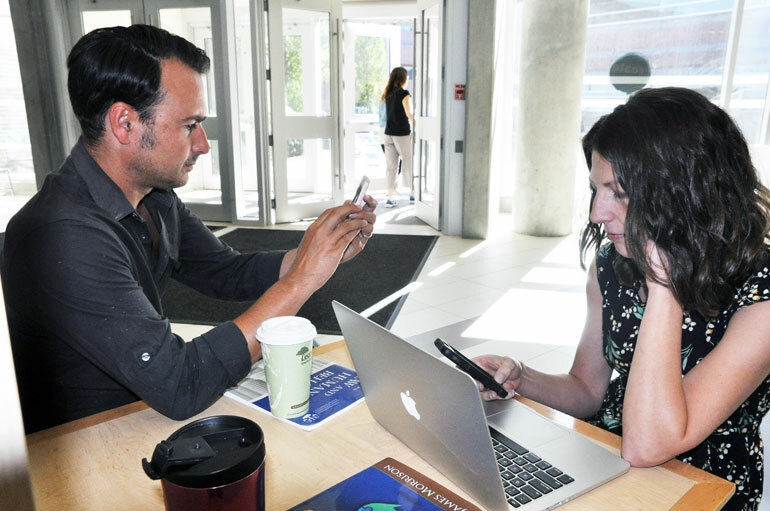 UBC professors Michael Woodworth and Susan Holtzman will discuss the affect our gadgets have on our personal relationships during a special presentation Thursday, September 29. When: Thursday, September 29 at 7 p.m.
Technology has changed the way we communicate. Should you be worried? Join a special presentation with three leading experts who will discuss their recent research on how technology is affecting our relationships; from platonic to intimate. Assoc. Prof. Susan Holtzman: Text messaging is a popular way of staying connected with friends and family. Can digital interactions have the same emotional benefits as face-to-face? Assoc. Prof. Michelle Drouin: Is technology keeping us from forming real, enduring romantic relationships? Drouin will speak about how texting, sexting, and online interactions might hinder our ability to develop authentic romantic connections. Prof. Michael Woodworth: As people look online for anything from finding a life partner to buying a used car, the honesty of the people we communicate with has become increasingly important. Should we worry about the honesty of people and getting conned online? After the presentation a panel discussion will take place, moderated by CBC Radio’s Alya Ramadan. This event is free and open to the public; pre-registration is required.